European Council president and former Polish leader Donald Tusk attended a commemoration of Poland's independence in Warsaw on Saturday (11 November), which was marred by a march that included neo-Nazis and white supremacists. Ahead of the rally, Tusk told reporters that Poland's independence day of 1918 was a celebration for every Pole and not just one party. "No politician in Poland has ever had nor will ever have a monopoly on patriotism," he said. 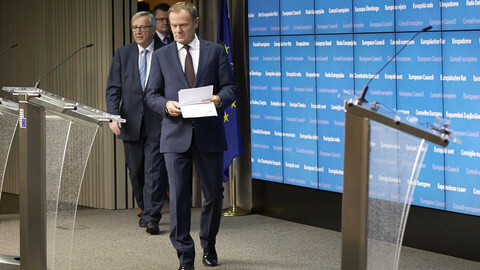 Tusk's comments were broadly directed towards the governing conservative and nationalist Law and Justice (PiS) party, which took power in 2015. PiS has since attempted to take direct political control of the judiciary and state media in moves the European Commission says risks undermining the rule of law. 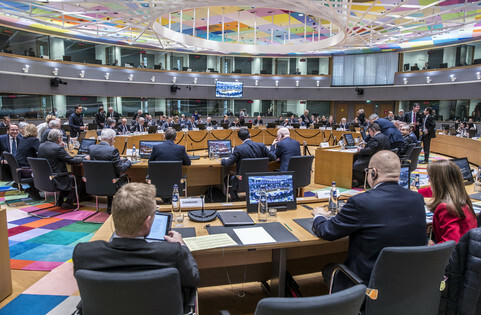 The party also backs large-scale logging in a primeval forest, deemed illegal by the European Commission, and was the only member state not to endorse Tusk for the EU Council presidency. 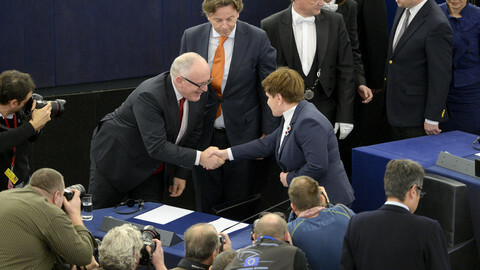 PiS' collision course with the EU is being led, in part, by the party's leader Beata Szydlo and Jaroslaw Kaczynski. Kaczynski's twin brother was killed in a plane crash in 2010, with Polish prosecutors earlier this year asked by the defence ministry to probe Tusk's alleged role in the death. The party stokes nationalism and promotes a white Roman Catholic identity, brands refugees as "ticking bombs", and describes people with Muslim backgrounds as security threats. Such moves appear to have helped turn Saturday's independence march into a rallying call for far-right nationalists as thousands chanted racist and nationalist slogans. Previous marches are said to have been more peaceful. But on Saturday, people were carrying banners which included, according to the Associated Press, slogans such as "White Europe of Brotherly Nations". CNN reported another banner read "Pray for an Islamic Holocaust" while people chanted "Catholic Poland, not Secular" and "Death to Enemies of the Homeland". 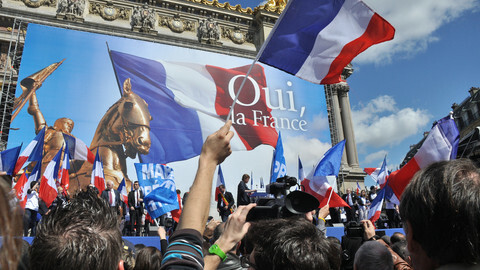 Police estimated some 60,000 people attended, drawing far-right sympathisers from the UK and Italy. 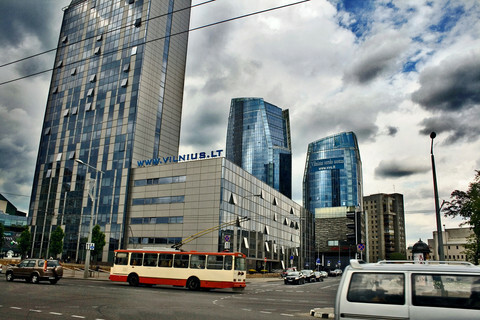 The country's interior minister Mariusz Blaszczak praised the march, describing it as a "beautiful sight". A counter-protest of some 2,000 people was also held nearby. The Polish government's actions don't just pose a domestic threat. 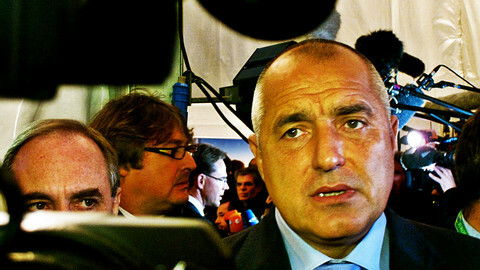 They threaten the values of the European Union itself and its credibility overseas. 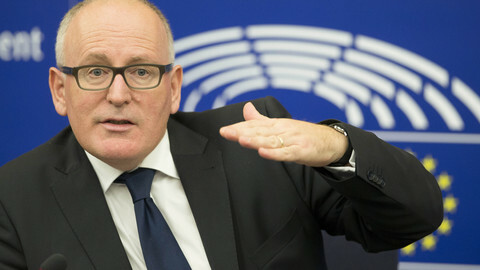 The EU Commission vice-president told MEPs that Polish ministers had not yet met him in person about concerns over judicial independence.